The magazine, which is available at Finland’s foreign missions and distributed by the Team Finland network, in particular, to potential export markets and at export events, also gives insight to Finnish food and food culture, and our public libraries from Ivalo to Mariehamn. In the magazine’s starter theme Sitra Director Mari Pantsar details the straightforward objective for circular economy: we must curb our overconsumption so we will be able to fund our wellbeing also in the future. Pantsar believes that Finns have the ability and skill to create the world’s most ambitious circular economy market, which will encourage investment and the creation of new solutions. 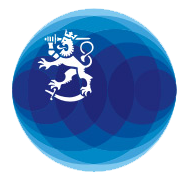 Start-up enterprises, for which Finland’s enterprise environment is appealing and favourable, will also bring about new ideas and solutions. In the magazine’s editorial, start-up investor Inka Mero uses her own experiences to describe our start-up community’s strengths: “We are a world leader in start-up enterprise and we support new entrepreneurs in various ways; we have active angel investors and student enterprise networks; our society is inclusive, we have low levels of hierarchy; public research and development funding is available and entrepreneurs who move to Finland can attain start-up visas. The strongest start-ups in Finland are centred in and around the health technology, artificial intelligence, wireless technology, IoT and gaming industries. This also holds true for our case enterprises Valossa, Inme and Critical Force. Nokia board chairman Risto Siilasmaa also shares his story on how he set off to find out what machine learning and new artificial knowledge are all about. Climate change turns our gaze to the Arctic regions, where actors must be able to find a balance between the vulnerable environment and commercial activities and take into consideration the chillingly cold conditions. “This is no small feat, but we have the expertise for this in Finland and we can also offer it to others,” confirms VTT’s Principal Scientist Jaakko Heinonen. The publication is targeted at international readers and aims at providing inspiring perspectives to Finnish expertise, innovations, education and way of life, as part of country branding. The magazine is distributed globally through the distribution channels of the editorial board and will also be published in German, French, Spanish, Chinese and Russian in March. This is FINLAND Magazine is published by the Ministry for Foreign Affairs, Business Finland, the Finnish Innovation Fund Sitra and the Finnish National Agency for Education.Otavamedia Ltd is responsible for the production of the magazine.